Kindle loves this project because... Seed Broadcast is major player in the world of seed and food culture, creating a positive and creative ruckus at the intersection of modern food systems and the environment. Their work calls all of us into becoming part of the preservation of our land’s food heritage, and the propagation of a sustainable food present and future. They masterfully combine education, storytelling, climate change, activism and beauty. We're thrilled to see their work continuing to expand and make waves across the country and across the internet. 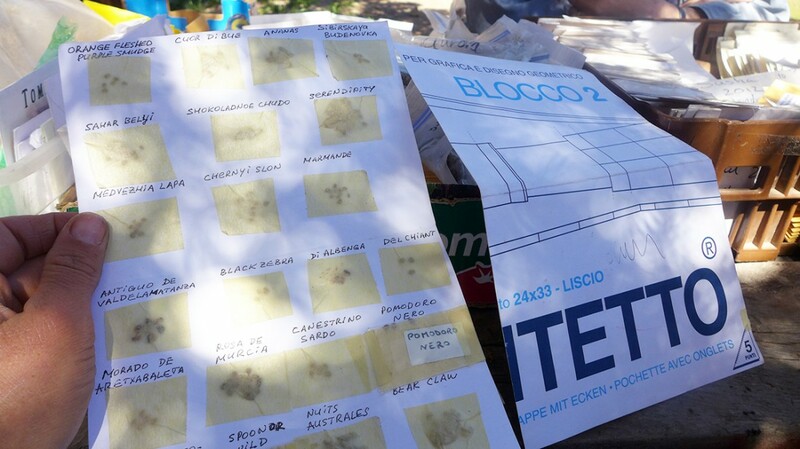 Smuggling tactics for sharing tomato seeds internationally: stash them inside a vellum tablet for architects and ship via postal service. Technology and seeds have long been intertwined in a complex field of relations. Throughout history plants have cycled from seed to seed and humans have interjected their desire to be a part of this process, selecting, storing, and growing out these plants year after year for millennia. This encoded technology of relations was fed with an intention towards care and resiliency to nurture not only people, but also a polyculture community of the familiar. Relatively recently this intention has shifted towards engineering botanical processes to build mono-agricultural empires, create populations of dependent passivity, and dominate the more than human. 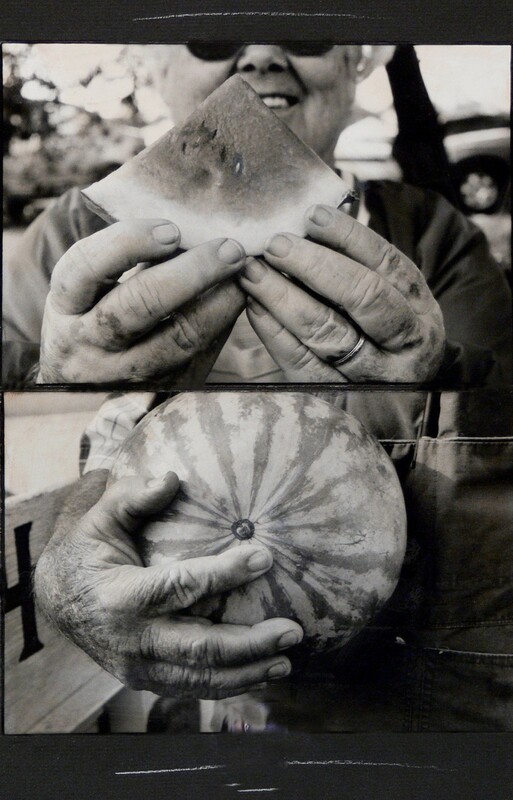 Since 2011, SeedBroadcast has been examining these territories through performative engagements as artists, farmers, gardeners, teachers, and collective operatives, while rethinking the term agri-Culture. Project concepts and methodologies are founded in a space of the grassroots, where culture, creativity, collaboration, and agency are coupled with open source technology, seeds, agro-ecology, rhizomatic networks, and most importantly the stories that bring these all together. Over the last year SeedBroadcast has implemented several new projects while continuing to mobilize the Mobile Seed Story Broadcasting Station (MSSBS). 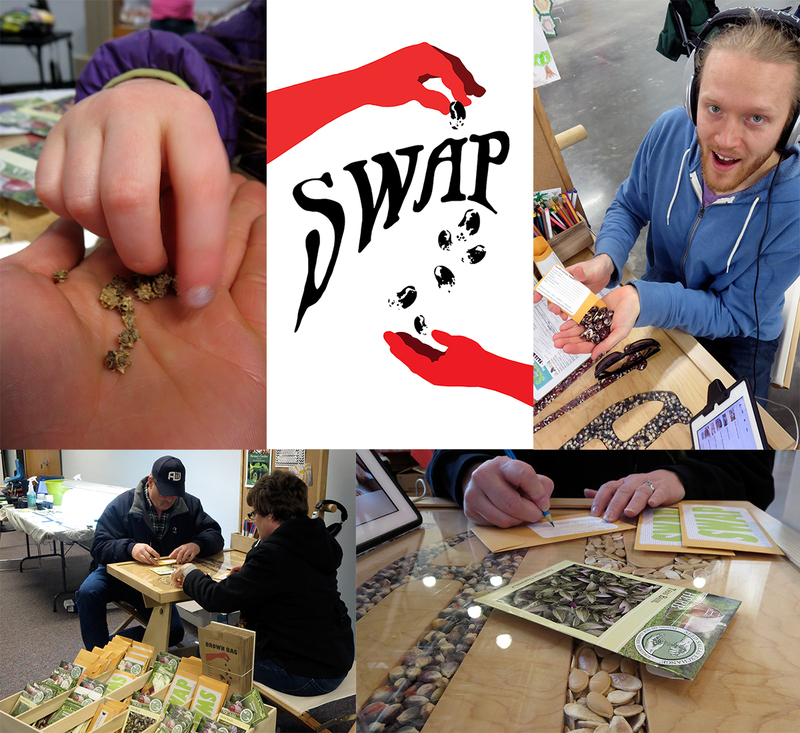 New projects include SWAP, Seed Story Workshops, and the agri-Culture Journal. 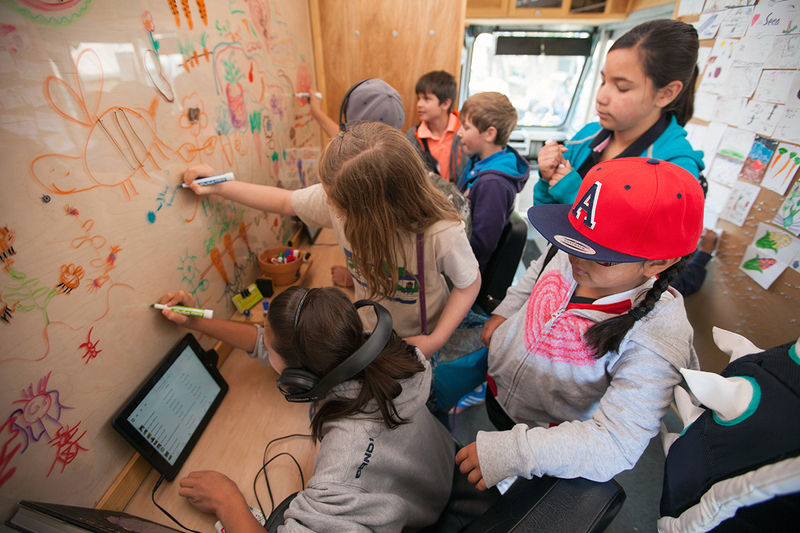 The Mobile Seed Story Broadcasting Station spent another year in partnership with regional seed libraries, farmers, gardeners, schools, and at public events recording and broadcasting seed stories, sharing resources, and pollinating open-source seed networks. The 2014 regional MSSBS tour took us vertically into the high and dry Rocky Mountains with events at MountainFilm Telluride and many visits to high-altitude food producers and seed savers in Mancos, Dolores, Ridgeway, and Westcliffe, Colorado. The mantra in this beautiful and yet harsh environment is to develop adaptability through encouraging creative resiliency in plant life, seed saving, and through finding passive energy systems for extending the growing season and protecting crop failure from the weathering mood of climate change. Finding ways to build collaborative partnerships beyond our region has led us to a new experimental platform called SWAP. The kick-off for this project occurred in the heart of corn country, in Iowa. Partnering with an organization called Exuberant Politics and directed by a local farmer and artist, SWAP shared the technological SeedBroadcast structure as an experimental “grow-kit” to be used locally to interrogate agri-Culture and local issues. 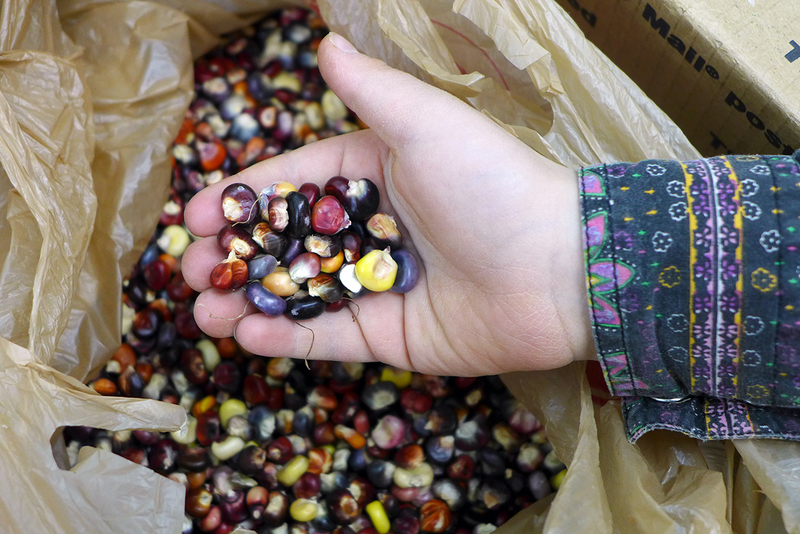 Local community members used it to collect seed stories, bring awareness to issues of GMO, pesticide drift, and seed saving, and help inspire local open-source networks. This year we have been expanding our processes to deepen the impact and implementation of our radical seed work. One of the ways has been to offer seed story workshops to encourage people not only to develop the practice of saving seeds but to also save the cultural heritage of that seed. As we have heard many times over “If we lose our seeds we lose our culture.” And as we are witnessing, in many parts of our world, if we lose connection to our culture we lose our land-based un-tampered-with seeds. 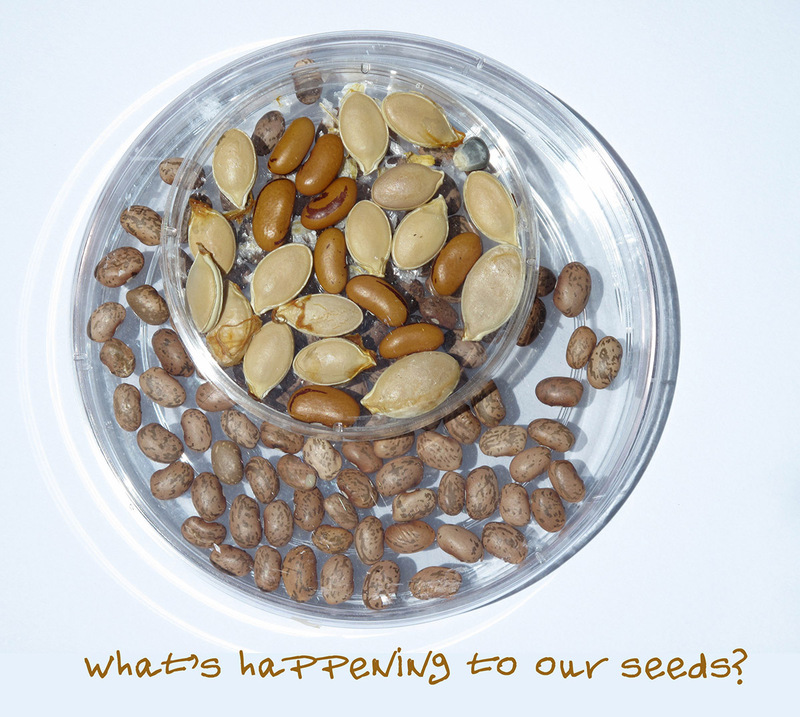 The stories held in each seed and the stories that each of these seeds share with us are as important to save and share as the seeds themselves. They are intertwined and inseparable. 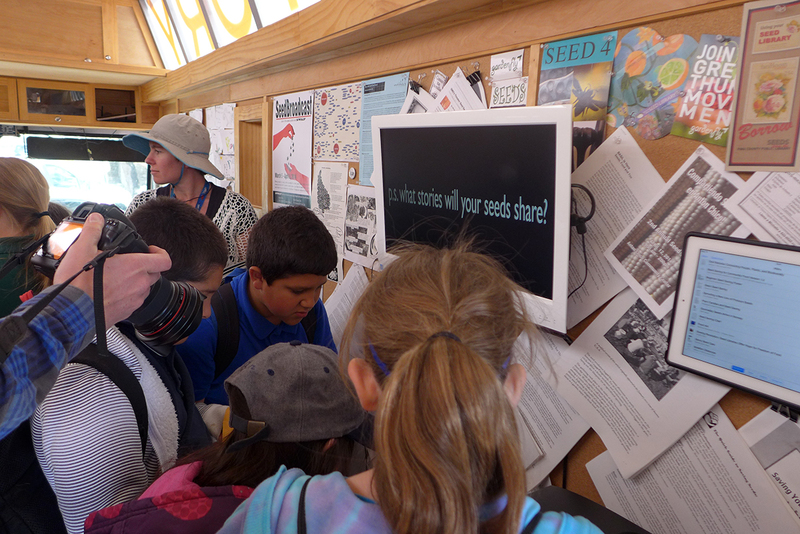 We have held onsite seed story workshops as part of Seed School at Native Seed Search in Tucson and at various New Mexican schools. We also have been seeding seed story practices through on line conversations and exchanges with the Hummingbird Project in Cleveland, Ohio. We are hoping to expand our online action workshop presence in the future and are in the planning stages for a series of workshops at the Institute for American Indian Arts in Santa Fe, New Mexico and at Santa Fe Art Institute as part of the Food Justice artist residency year. One of SeedBroadcast’s various dispersal, broadcasting and collaborative tactics is our biannual SeedBroadcast agri-Culture Journal. The intention of this journal is to activate a forum of exchange and intensify the discourse about the necessity for a critical shift in mainstream food growing and seed manipulation practices. For the spring 2014 edition we received many intriguing contributions from an international call out to our curious seed story network. Among these contributions were a poem and drawing called “Radish Beets” from Whitney Richardson of Pueblo Semilla in Chicago, an article about the “Seed Diaries Project, The Art of Storytelling” from Danielle Johnson and Belle Starr in Tucson, information about the film “Open Sesame: The Story of Seeds” by Sean Kaminsky of New York, a traditional New Mexican recipe for cooking quelites from 87 year old Delvina “Vina” Armijo of Las Vegas, even the words of a contemporary seed hymn and many offerings of local wisdom from our New Mexican community. “Seeds are the memory of life. They have their own stories and those stories have to be told every year so they do not get forgotten.” – Isaura Andaluz.